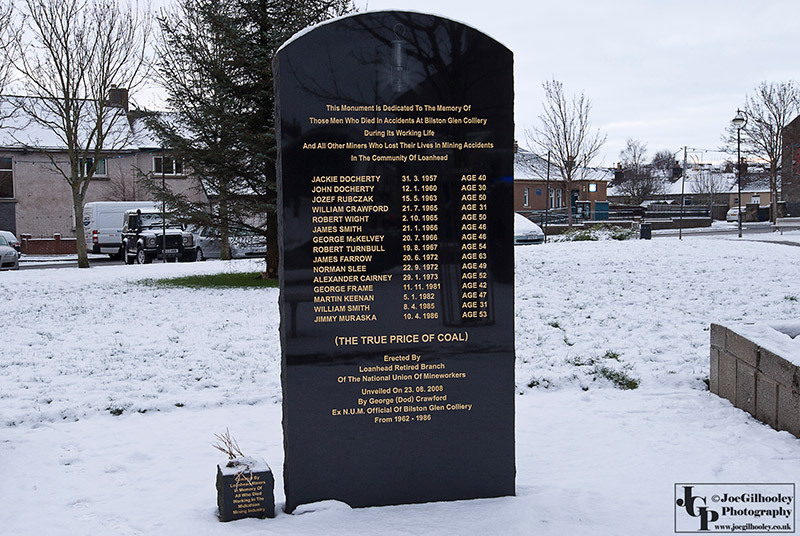 Sunday 17th January 2016. 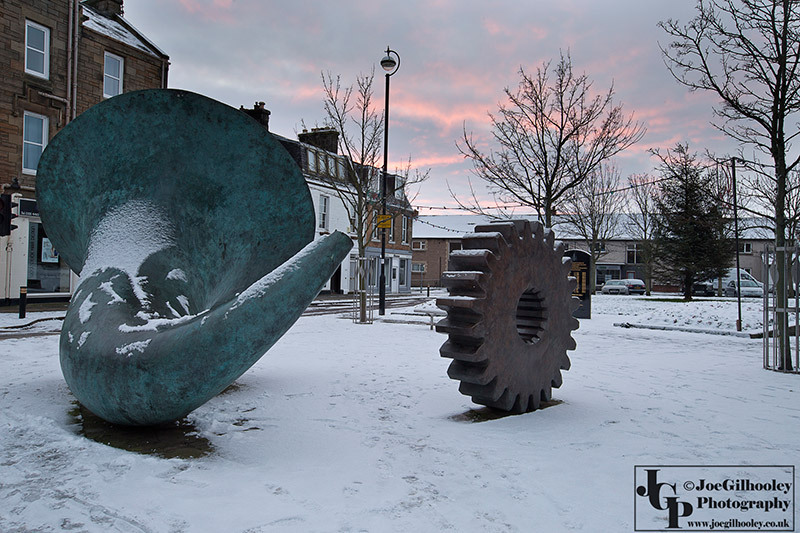 Fresh snow always enhances an image. 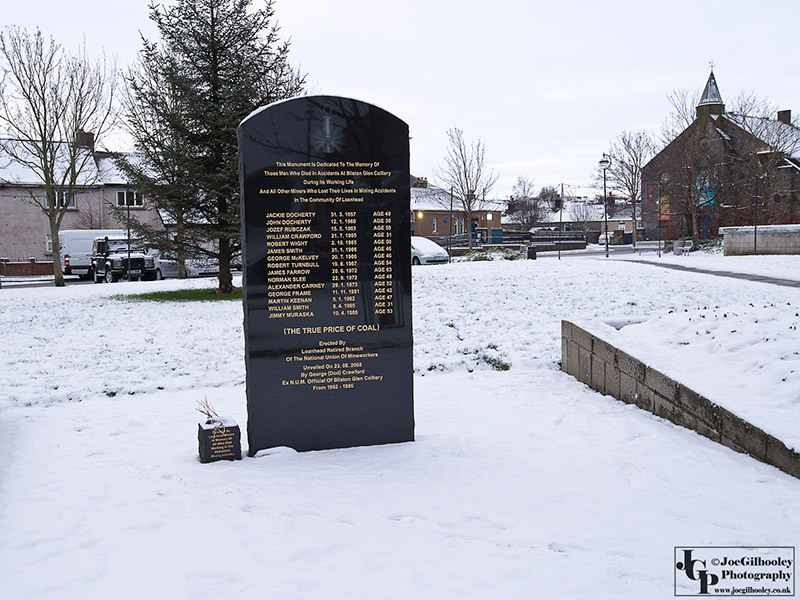 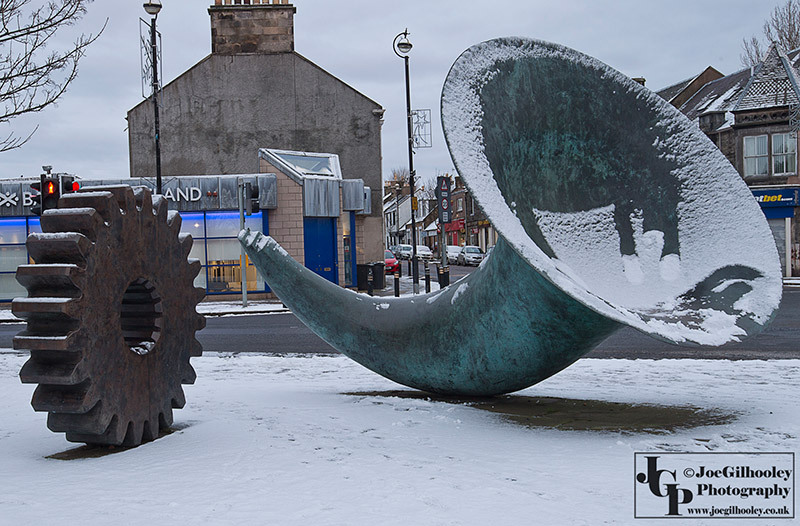 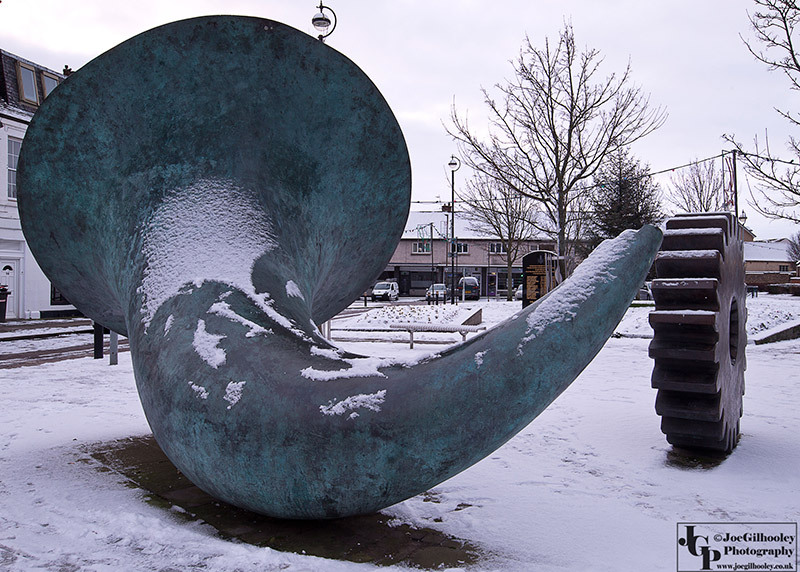 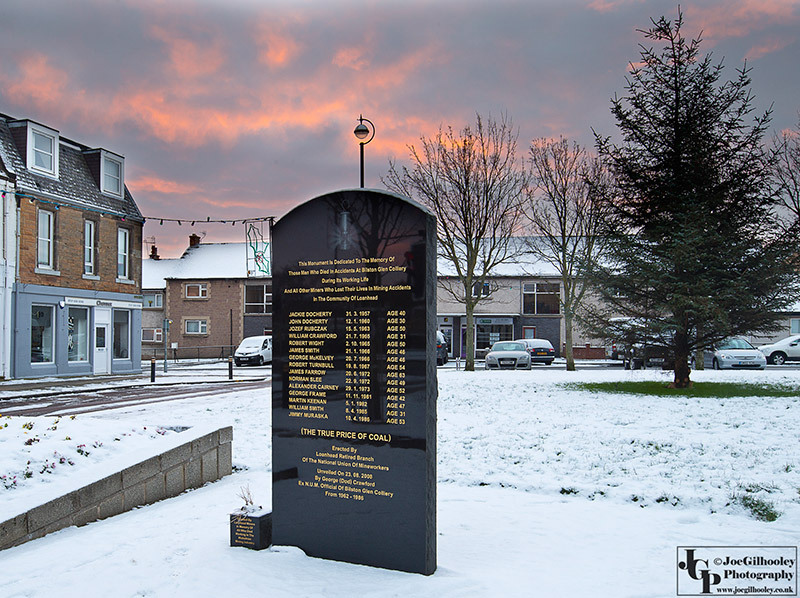 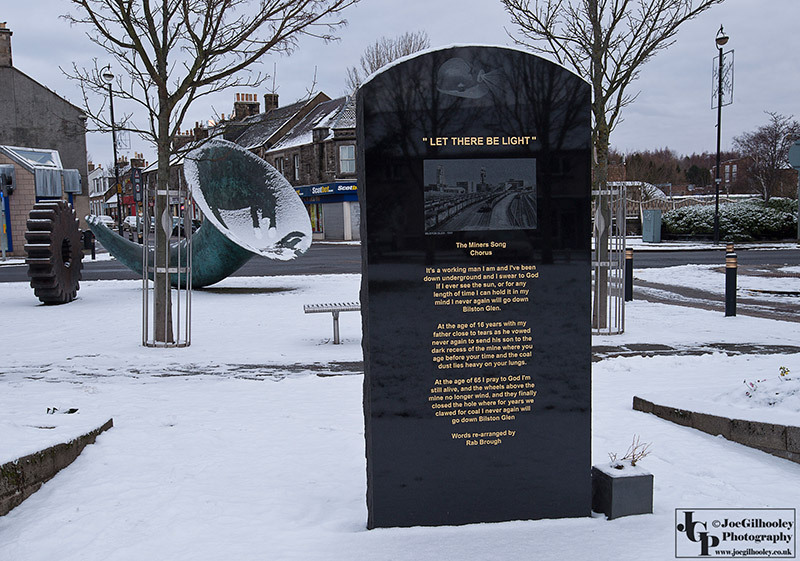 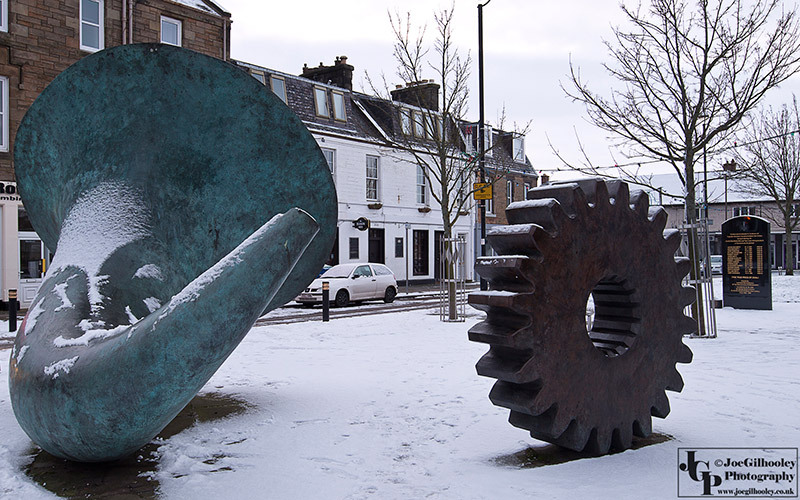 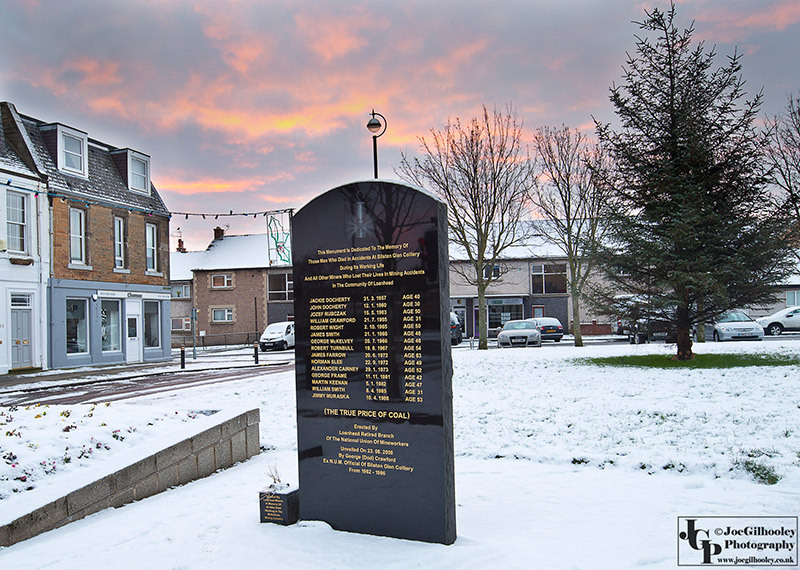 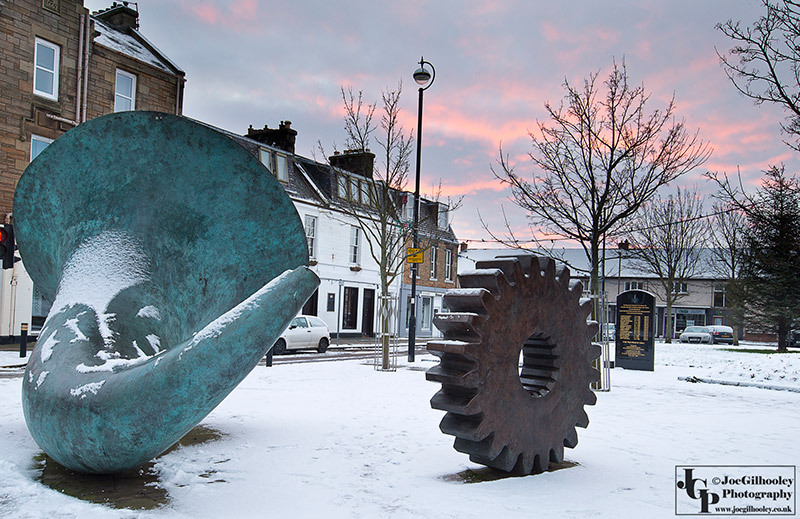 With that in mind I headed to Fountain Green Loanhead to photograph both the Bilston Glen Mining Memorial and the sculptures to MacTaggart Scott Engineering and band.